When Saoussan immigrated with her family from war-torn Lebanon, she was only seven years old. This picture book tells the story of how she had to adjust to her new home in Canada. She describes the frustration of not understanding the teacher when she started school, not knowing how to ask to go to the bathroom, and being terrified of a Hallowe'en skeleton. 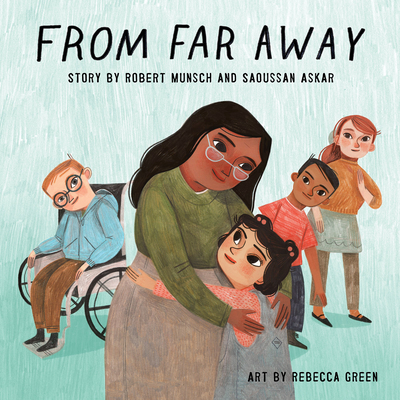 This is the perfect book to help kids empathize with immigrant children whose experiences are very similar to Saoussan's.